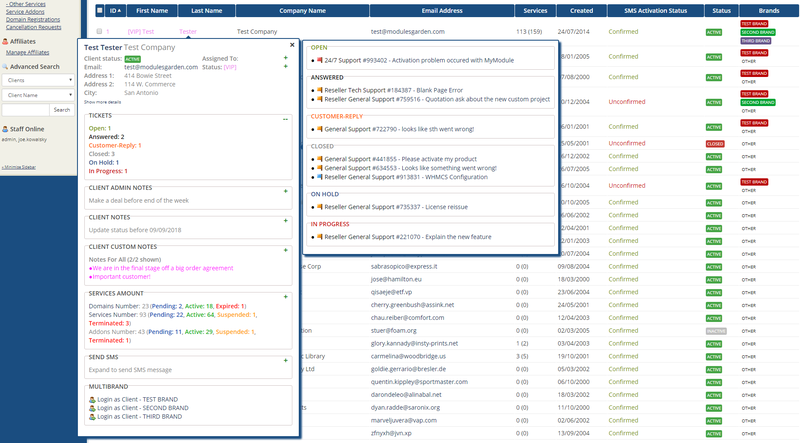 Client Profile Viewer For WHMCS will allow you to preview key data on your customers without the need of moving to their profiles. 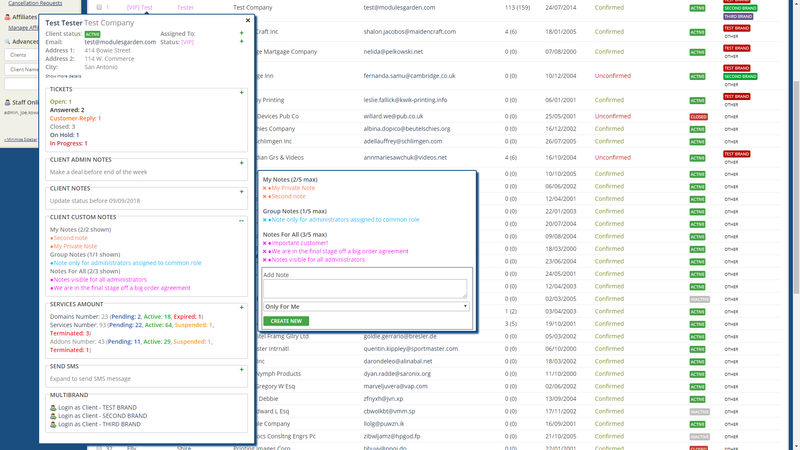 Whenever you hover over a client's name, a convenient tooltip will appear including widgets with contact details, income, products and services, tickets, invoices and much more. With this single tooltip, you will be able to add various notes and set the status of each customer, quickly assign a particular staff member or even log in as a client. 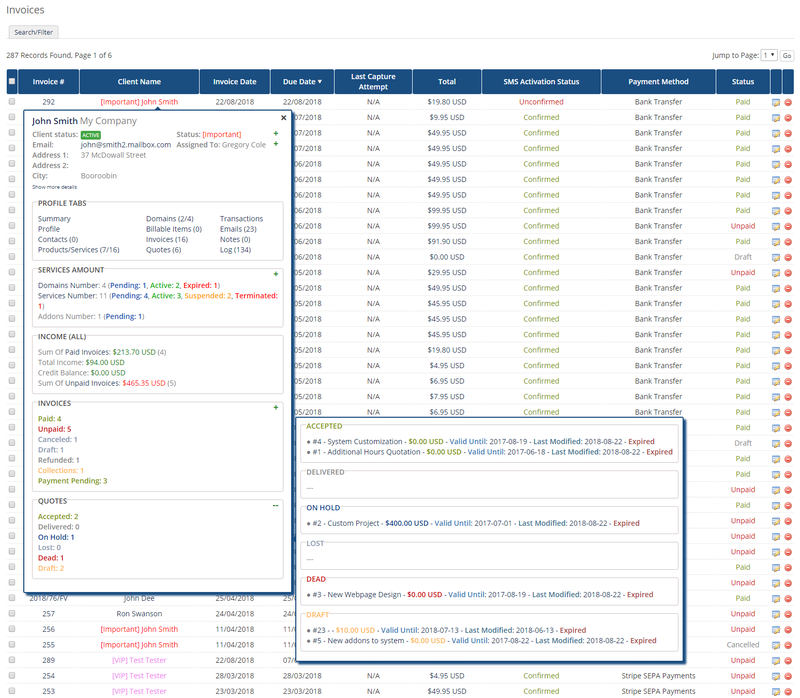 Moreover, you will be allowed to freely adjust accessible information by defining the type and order of displayed details. 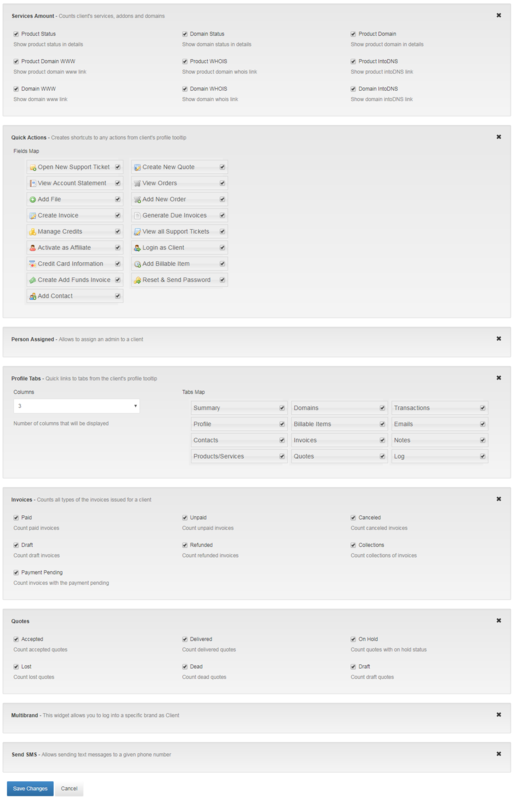 In addition, the module will enable you to create multiple configurations for different administration roles, each with an individually chosen set of widgets. 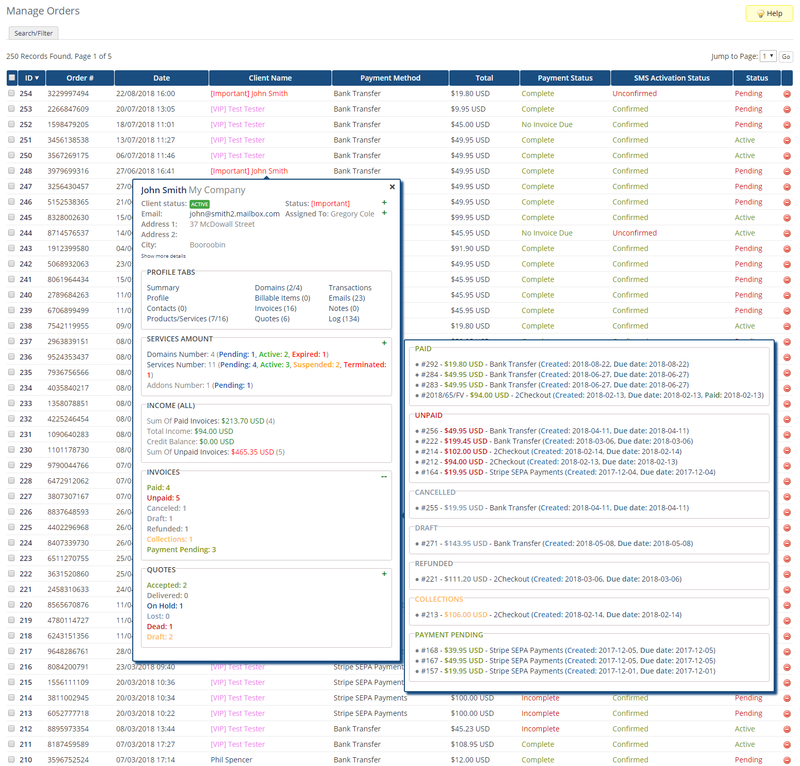 Keep crucial data on your most precious asset always close at hand with Client Profile Viewer For WHMCS. 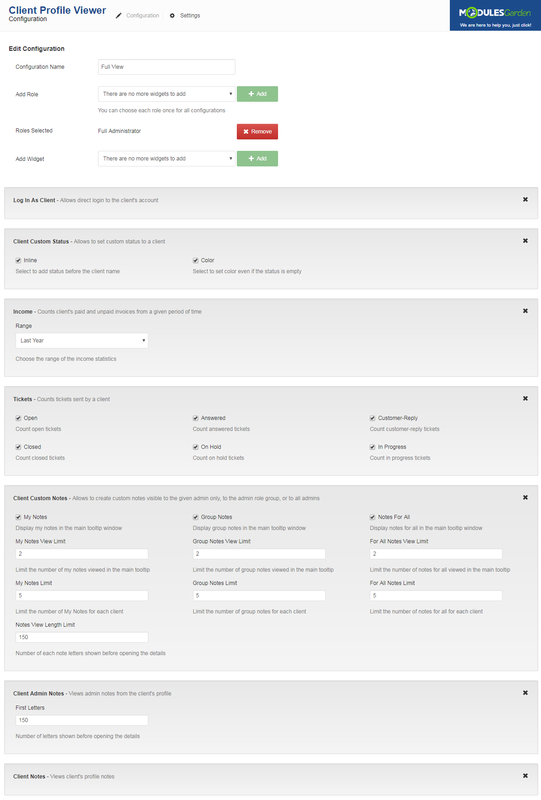 Order the module today to serve your clients better, faster and more comprehensively than ever before! 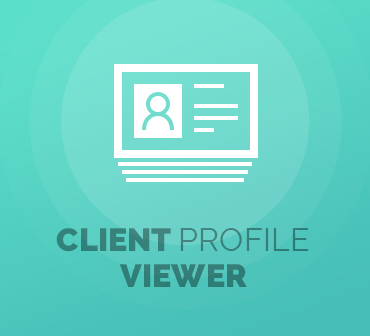 We love the way this Client Profile Viewer gives us a birds eye view of the client account vitals just by hovering the mouse. 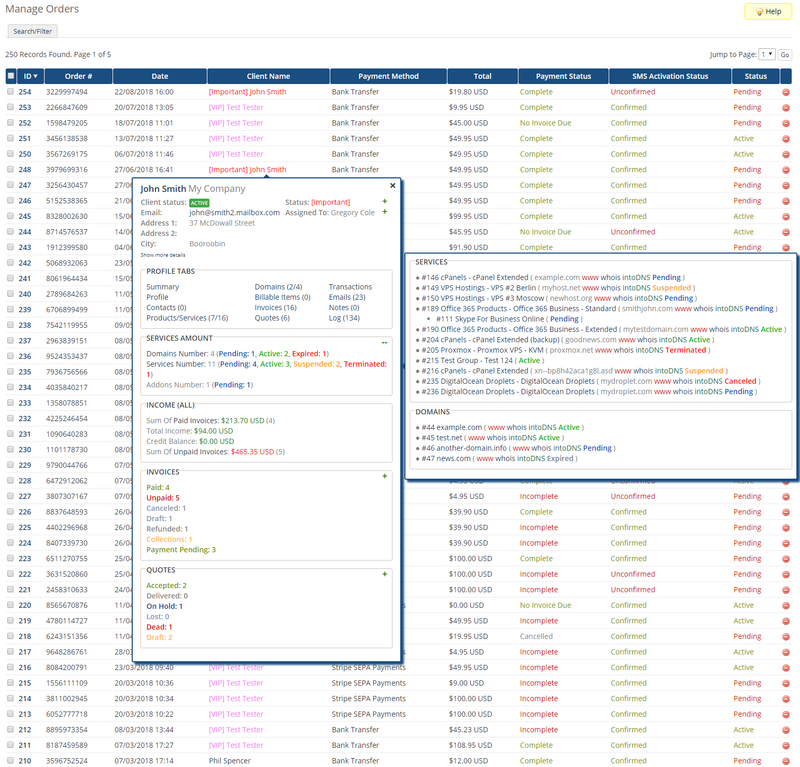 We were constantly waiting for pages to re-load when managing these accounts, and it was sinking efficiency levels. This saves us time from having to switch screens, really handy! 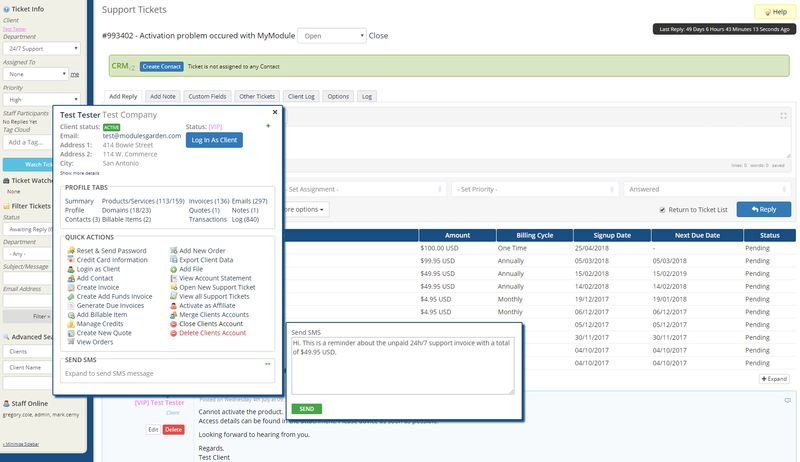 Include support tools powered by Zendesk into WHMCS, access Zendesk admin area to handle tickets deftly and bring benefits of this advanced system to your customers.